If you are in need of assistance in obtaining identification, please find a date below to attend an IDignity event. If you are looking to volunteer instead, please click here. We also have events in Osceola County, Seminole County and Volusia County, if these locations are more convenient for you. Please note that if you begin working with one IDignity location, you must continue there. Documents ordered at one location are not available at another. Get assistance obtaining a Florida ID card or license, birth certificate, Social Security card, replacement citizenship or immigration records and other documents needed to obtain an ID/license. Client Information: Intake is from approximately 8:30 AM till 11:00 AM (first come, first-served). Arrive early, but not before 4:00 AM. Intake ends when maximum capacity is reached. The state of Florida sets the criteria for what proofs are acceptable to obtain an ID or driving license. We encourage you to bring as much of the following as possible in order to help you obtain an ID/license. 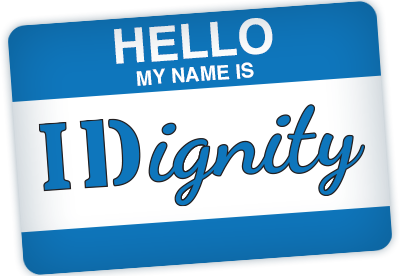 If you have any questions, please call 407-792-1374 or email info@idignity.org. In order to obtain or replace a Florida ID, you will need the following Proofs. IDignity will try to assist you in obtaining missing proofs. This process may require you to attend multiple events and it does not always work. If proofs have already been accepted by the DMV since Jan 2010, you may not have to submit again. · A valid U.S. passport, permanent resident card or immigration documents. · SS Card, Medicare Card, Tax form (W-2 or 1099) or job payment stub. * If applicable, proof of enrollment in the Department of Children and Families Access Florida Benefits Program, such as a DCF Access card (commonly known as a food-stamp card) or DCF Access award letter/printout.